Soprano Lindsay Ohse continues to illuminate four centuries' worth of repertoire with her "dazzling and crystal clear" voice. Highlights of Ms. Ohse's 2017–2018 season include her Anchorage Opera debut as Norina in Don Pasquale, her debut in the landmark belcanto role of Bellini's Norma with Opera Southwest, the Verdian role debut as Alice in Falstaff with Intermountain Opera, and her return to Portland Opera as Gluck's Eurydice. 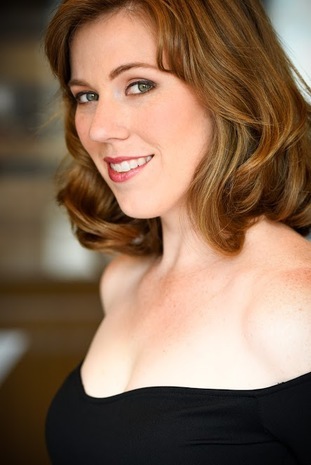 Her 2018–2019 commitments include her inaugural Metropolitan Opera engagement covering the role of Shadow 2 in the US premiere of Nico Muhly's Marnie, soprano soloist in Handel's Messiah with the Naples Philharmonic, making her company and role debut as Pamina in Die Zauberflöte with El Paso Opera, rejoining Anchorage Opera for her Puccinian role debut as Musetta in La bohéme, making another role and company debut in the title role of Massenet’s Cendrillon with Opera Company of Middlebury, and returning to Portland Opera as Sandrina in Mozart's La finta giardiniera. During the 2019-2020 season, Ms. Ohse will make her Metropolitan Opera debut. The 2016–2017 season had witnessed Ms. Ohse in a variety of belcanto heroine roles, both comic and tragic. She made her Opera North debut as Marie in La fille du régiment during the summer of 2016. That autumn, Ms. Ohse made her role debut as the heroine Amenaide in Rossini's rarely performed opera seria Tancredi, in a co-production between Baltimore Concert Opera and Opera Southwest (the opera's New Mexico premiere). In March 2017 she returned to Brava Opera Theater as Norina in Don Pasquale. During the spring of 2017 Ms. Ohse made her anticipated role debut as the iconic title role of Rossini's Semiramide, in a co-production that serves as her return to Baltimore Concert Opera and her company debut with OperaDelaware. Finally, she joined Hubbard Hall Opera Theater as Adina in a summer 2017 remounting of Resonance Works' 2014 production of L'elisir d'amore. Ms. Ohse's repertoire also embraces 20th-century opera (the Governess in The Turn of the Screw, Thérèse/Tirésias in Les mamelles de Tirésias, Sister Constance in Dialogues of the Carmelites, Ann Putnam in The Crucible) and contemporary works. Ms. Ohse has covered the role of Lu Mu-zhen in the American premiere of Huang Ryo's Sun Yat-Sen with Santa Fe Opera and has performed the leading role of Marie Celeste in the West Coast premiere of Philip Glass's Galileo Galilei with Portland Opera. In the spring of 2017 she joined New York City Opera to cover the role of the Angel in the New York premiere of Peter Eötvös' Angels in America. An assured interpreter of 17th- and 18th-century repertoire, Ms. Ohse began 2017 as a featured artist in Portland Opera's staged program of Monteverdi madrigals entitled Songs of Love and War. She has earned critical praise for her performance in Portland Opera's production of Handel's Rinaldo as an Armida who "steals the show", and regarding her Donna Anna in Opera Southwest's Don Giovanni, "Ohse's singing carries an ardent sensuality, even turning vocal ornamentation into characterization". Earlier in her career, Ms. Ohse had also performed the Königin der Nacht in Die Zauberflöte at Sarasota Opera and Santa Fe Opera.